An increasingly diverse array of churches and denominations now support and practice the ordination and leadership of women. I am ordained in the Assemblies of God, where much of our history has been that of doctrine and practice that are supportive but women have struggled to realize this empowerment as some within the movement have still resisted their leadership. My wife is ordained in the United Methodist Church, where ordination of women is a bit newer in practice but has been much more successful in implementation. 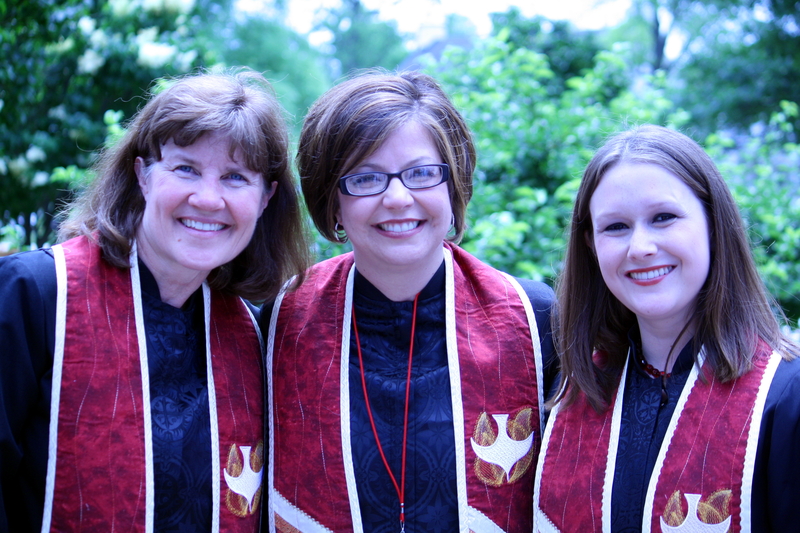 Today, more than 50% of those enrolled in UMC seminaries are women. These two stories represent two quite common experiences of clergy in the nation. These pages represent my effort to advocate for those women who sense a call to the ministry of the church in denominations and cultures that are not fully supportive, whether or not their official policies are supportive. I also try to discuss some issues that are unique to women clergy, even when their denomination is fully supportive. As a man, I am clearly at a disadvantage to speak to these issues. But my call to equip future ministers of the church as well as the “insider’s view” of being married to my wife both compel me to say what I can. Woohoo! Great to have these in one place for easy access! Thx. Thank You! for your courage and tremendous effort to speak up for women who are faithful disciples of Christ together with their brothers. You said that, “As a man, I am clearly at a disadvantage to speak to these issues.” Truth to be told, women are even more disadvantaged to speak to these issues, because we will be accused as fighting against biblical truth following secular feminist ideologies for “selfish ambitions”… Since there is no way we can be spared of criticism on this issue being either a man or woman against a strong human culture of male-privilege and dominance after the Fall, may the Word and Spirit of God be our witness of a clear conscience and pure heart. No where in the Old or New Testiment do I find any requirements for women to serve as pastors or such major leadership in any Church. In fact, I have only found restrictions that women can not serve as Pastors or Elders. If you are preaching new revelation, it’s a false revelation. Why not include New Mexico or Flint Michigan ? I am sure there are many more women in ministry than you have listed. Thanks Jack! Of course there are LOTS more. If you will notice, the list is inviting people to share more churches just as you have. Thanks for the additions! 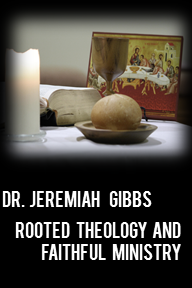 Thank you Dr. Gibbs for your support of women’s ministry. As a UMC Lay Speaker I have had to explain to some why women should preach. I usually say something of this. Most of our English translations were taken from the Greek and Latin. Once the Hebrew and Aramaic were translated into the Greek and Latin, the original languages were disregarded. But in the last several decades there has been a renewed interest. In reexamining the Hebrew we find a trove of rich and fascinating knowledge that was missed before. An important fact that should prompt a reexamining of our teaching regarding women is the Hebrew word translated help in Genesis for Eve, the word ezar. Ezar appears 21 times in the Bible. It applies only to God or appeals to God for divine help. And two of those references God applies to Eve. Ezar is also a Hebrew military term applied to a warrior who risks his safety to rescue a fellow soldier. So we can deduce that Eve was created by God to be rescuing warrior wielding divine help. God’s idea for women was far from today’s vision of a damsel in distress. However, at Eve’s first opportunity to rescue Adam from the wiles of the serpent, she fails her mission. So part of her punishment is that she loses her equal standing with Adam and is placed under him. So for millennia afterwards women were demoted to second place because of what Eve did or failed to do. But what a patriarchal Christianity has failed to see is that Christ came to remove the Curse of the Fall. And that applies to Eve’s daughters as well. A careful examination of Jesus’ treatment of women was a radical departure from societal norms of His time. The woman at the well and Mary of Magdala were both sent by Jesus with His good news which qualifies them as apostles. It was not uncommon for the first century churches to be led by women. The injunctions against women were introduced in the second century by the radically misogynistic Greeks. Paul never forbade their preaching and teaching. And finally, biblical Hebrew reveals that the Holy Spirit is the feminine representation of the Godhead. A prominent Hebrew professor has postulated that that may be the reason more women than men are more sensitive to the leading of the Holy Spirit, and is concerned that the Church over the millennia are guilty of stifling the voice of the Spirit by denying women a voice. No, Sheila, it’s what your Bible said before it was translated into English. Sheila, women having equality with men is NOT heresy. But MIStranslations and abuse that has stemmed from those mistranslations IS. You have been lied to. Sheila, women having equality with men is NOT heresy. But MIStranslations and abuse that stems from those mistranslations ARE! I currently reside in Escondido, California and I am a student at California State University in San Marcos. In 2019 I will receive my Bachelors in Writing and Literature and plan to attend seminary for my Master’s of Divinity to become a pastor. Unfortunately, as I read through the website I came upon this information (see below). If I apply for the program they will deny my entry and give me a second rate education because I am a woman. I have long felt that men are undermining the church and it has become an exploitation to gain wealth and prestige rather than what I see God was teaching. Therefore, I am called to make a change for women to enter, starting with myself. What legal rights do I have and how can I apply to the college and be admitted into the program that I choose? IS THE M.DIV. PROGRAM OPEN TO MEN AND WOMEN? The purpose of our Master of Divinity program is to educate and form men for official, ordained ministries of instruction and leadership in the church as pastors, evangelists, and teachers. Because the seminary board and faculty believes the criteria set down in Scripture limits the candidacy for official teaching and leadership ministry in the church to qualified men, we admit only men to our Master of Divinity program. However, because God bestows on women as well as men gifts and calling to serve in non-ordained ministries, WSC’s Master of Arts programs admit both women and men. I praise God that he has called you and you are pursuing. I’m afraid you have no rights to be admitted to that program. The federal government generally allows discrimination based on theological grounds as long as they use the theological argument consistently…for example, never allowing any woman into the program. I think I would suggest finding another program. There are LOTS of MDiv programs that are supportive of your call and I’d be glad to point you in the direction of some.